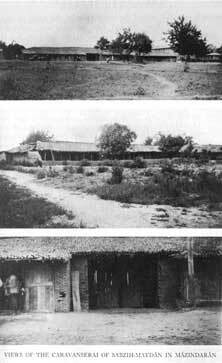 N THE same month of Sha'ban that witnessed the indignities inflicted upon the Bab in Tabriz, and the afflictions which befell Baha'u'llah and His companions in Niyala, Mulla Husayn returned from the camp of Prince Hamzih Mirza to Mashhad, from which place he was to proceed seven days later to Karbila accompanied by whomsoever he might desire. The prince offered him a sum to defray the expenses of his journey, an offer that he declined, sending the money back with a message requesting him to expend it for the relief of the poor and needy. Abdu'l-'Ali Khan likewise volunteered to provide all the requirements of Mulla Husayn's intended pilgrimage, and expressed his eagerness to pay also the expenses of whomsoever he might choose to accompany him. All that he accepted from him was a sword and a horse, both of which he was destined to utilise with consummate bravery and skill in repulsing the assaults of a treacherous enemy. My pen can never adequately describe the devotion which Mulla Husayn had kindled in the hearts of the people of Mashhad, nor can it seek to fathom the extent of his influence. His house, in those days, was continually besieged by crowds of eager people who begged to be allowed to accompany him on his contemplated journey. Mothers brought their sons, and sisters their brothers, and tearfully implored him to accept them as their most cherished offerings on the Altar of Sacrifice. hasten to the Jaziriy-i-Khadra',(1) and lend your assistance to My beloved Quddus." As soon as that message reached him, Mulla Husayn arose to execute the wishes of his Master. Leaving Mashhad for a place situated at a farsang's(2) distance from the city, he hoisted the Black Standard, placed the turban of the Bab upon his head, assembled his companions, mounted his steed, and gave the signal for their march to the Jaziriy-i-Khadra'. His companions, who were two hundred and two in number, enthusiastically followed him. That memorable day was the nineteenth of Sha'ban, in the year 1264 A.H.(3) Wherever they tarried, at every village and hamlet through which they passed, Mulla Husayn and his fellow-disciples would fearlessly proclaim the message of the New Day, would invite the people to embrace its truth, and would select from among those who responded to their call a few whom they would ask to join them on their journey. Arriving at Chashmih-'Ali, a place situated near the town of Damghan and on the highroad to Mazindaran, Mulla Husayn decided to break his journey and to tarry there for a few days. He encamped under the shadow of a big tree, by the side of a running stream. "We stand at the parting of the ways," he told his companions. "We shall await His decree as to which direction we should take." Towards the end of the month of Shavval,(2) a fierce gale arose and struck down a large branch of that tree; whereupon Mulla Husayn observed: "The tree of the sovereignty of Muhammad Shah has, by the will of God, been uprooted and hurled to the ground." On the third day after he had uttered that prediction, a messenger, who was on his way to Mashhad, arrived from Tihran and reported the death of his sovereign. (3) The following day, the company determined to leave for Mazindaran. As their leader arose to depart, he pointed in the direction of Mazindaran and said: "This is the way that leads to our Karbila. Whoever is unprepared for the great trials that lie before us, let him now repair to his home and give up the journey." He several times repeated that warning, and, as he approached Savad-Kuh, explicitly declared: "I, together with seventy-two of my companions, shall suffer death for the sake of the Well-Beloved. Whoso is unable to renounce the world, let him now at this very moment, depart, for later on he will be unable to escape." Twenty of his companions chose to return, feeling themselves powerless to withstand the trials to which their chief continually alluded. The news of their approach to the town of Barfurush alarmed the Sa'idu'l-'Ulama'. The widespread and growing popularity of Mulla Husayn, the circumstances attending his departure from Mashhad, the Black Standard which waved before him--above all, the number, the discipline, and the enthusiasm of his companions, combined to arouse the implacable hatred of that cruel and overbearing mujtahid. He bade the crier summon the people of Barfurush to the masjid and announce that a sermon of such momentous consequence was to be delivered by him that no loyal adherent of Islam in that neighbourhood could afford to ignore it. An immense crowd of men and women thronged the masjid, saw him ascend the pulpit, fling his turban to the ground, tear open the neck of his shirt, and bewail the plight into which the Faith had fallen. "Awake," he thundered from the pulpit, for our enemies stand at our very doors, ready to wipe out all that we cherish as pure and holy in Islam! Should we fail to resist them, none will be left to survive their onslaught. He who is the leader of that band came alone, one day, and attended my classes. He utterly ignored me and treated me with marked disdain in the presence of my assembled disciples. As I refused to accord him the honours which he expected, he angrily arose and flung me his challenge. This man had the temerity, at a time when Muhammad Shah was seated upon his throne and was at the height of his power, to assail me with so much bitterness. What excesses this stirrer-up of mischief, who is now advancing at the head of his savage band, will not commit now that the protecting hand of Muhammad Shah has been suddenly withdrawn! It is the duty of all the inhabitants of Barfurush, both young and old, both men and women, to arm themselves against these contemptible wreckers of Islam, and by every means in their power to resist their onset. To-morrow, at the hour of dawn, let all of you arise and march out to exterminate their forces." As soon as Mulla Husayn had determined to pursue the way that led to Mazindaran, he, immediately after he had offered his morning prayer, bade his companions discard all their possessions. "Leave behind all your belongings," he urged them, "and content yourselves only with your steeds and swords, that all may witness your renunciation of all earthly things, and may realise that this little band of God's chosen companions has no desire to safeguard its own property, much less to covet the property of others." Instantly they all obeyed and, unburdening their steeds, arose and joyously followed him. The father of Badi' was the first to throw aside his satchel, which contained a considerable amount of turquoise which he had brought with him from the mine that belonged to his father. One word from Mulla Husayn proved sufficient to induce him to fling by the road-side what was undoubtedly his most treasured possession, and to cling to the desire of his leader. forward, and with a single stroke of his sword cut across the trunk of the tree, the barrel of the musket, and the body of his adversary. (1) The astounding force of that stroke confounded the enemy and paralysed their efforts. All fled panic-stricken in the face of so extraordinary a manifestation of skill, of strength, and of courage. This feat was the first of its kind to attest to the prowess and heroism of Mulla Husayn, a feat which earned him the commendation of the Bab. Quddus likewise paid his tribute to the cool fearlessness which Mulla Husayn displayed on that occasion. He is reported to have.quoted, when informed of the news, the following verse of the Qur'an: "So it was not ye who slew them, but God who slew them; and those shafts were God's, not thine! He would make trial of the faithful by a gracious trial from Himself: verily, God heareth, knoweth. This befell, that God might also bring to naught the craft of the infidels." 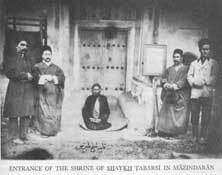 I myself, when in Tihran, in the year 1265 A.H.,(2) a month after the conclusion of the memorable struggle of Shaykh Tabarsi, heard Mirza Ahmad relate the circumstances of this incident in the presence of a number of believers, among whom were Mirza Muhammad-Husayn-i-Hakamiy-i-Kirmani, Haji Mulla Isma'il-i-Farahani, Mirza Habibu'llah-i-Isfahani, and Siyyid Muhammad-i-Isfahani. which no man of his position and authority could afford to ignore. He resolved to curb the power which, by so daring an act, had sought to assert itself against his forces. Unable, in spite of the overwhelming number of his men, to defeat Mulla Husayn and his companions fairly and honourably, he meanly resorted to treachery and fraud as instruments for the attainment of his purpose. He ordered the prince to affix his seal to the Qur'an and pledge the honour of his officers that they would henceforth abstain from any act of hostility towards the occupants of the fort. By this means he was able to induce them to lay down their arms, and to inflict upon his defenceless opponents a crushing and inglorious defeat." Such a remarkable display of dexterity and strength could not fail to attract the attention of a considerable number of observers whose minds had remained, as yet, untainted by prejudice or malice. It evoked the enthusiasm of poets who, in different cities of Persia, were moved to celebrate the exploits of the author of so daring an act. Their poems helped to diffuse the knowledge, and to immortalise the memory, of that mighty deed. Among those who paid their tribute to the valour of Mulla Husayn was a certain Rida-Quli Khan-i-Lalih-Bashi, who, in the "Tarikh-i-Nasiri," lavished his praise on the prodigious strength and the unrivalled skill which had characterised that stroke. his sword, however, to repulse that savage attack, a mysterious power seemed to have suddenly transformed him. In all subsequent encounters, he was seen to be the first to spring forward and spur on his charger into the camp of the aggressor. Unaided, he would face and fight the combined forces of his opponents and would himself achieve the victory. We, who followed him in the rear, had to content ourselves with those who had already been disabled and were weakened by the blows they had sustained. His name alone was sufficient to strike terror into the hearts of his adversaries. They fled at mention of him; they trembled at his approach. Even those who were his constant companions were mute with wonder before him. We were stunned by the display of his stupendous force, his indomitable will and complete intrepidity. We were all convinced that he had ceased to be the Mulla Husayn whom we had known, and that in him resided a spirit which God alone could bestow." coward, who has incited the inhabitants of this town to wage holy warfare against us and has ignominiously concealed himself behind the walls of his house, emerge from his inglorious retreat. Let him, by his example, demonstrate the sincerity of his appeal and the righteousness of his cause. Has he forgotten that he who preaches a holy war must needs himself march at the head of his followers, and by his own deeds kindle their devotion and sustain their enthusiasm?'" The voice of Mulla Husayn drowned the clamour of the multitude. The inhabitants of Barfurush surrendered and soon raised the cry, "Peace, peace!" No sooner had the voice of surrender been raised than the acclamations of the followers of Mulla Husayn, who at that moment were seen galloping towards Barfurush, were heard from every side. The cry of "Ya Sahibu'z-Zaman! "(1) which they shouted at the top of their voices, struck dismay into the hearts of those who heard it. The companions of Mulla Husayn, who had abandoned the hope of again finding him alive, were greatly surprised when they saw him seated erect upon his horse, unhurt and unaffected by the fierceness of that onset. Each reverently approached him and kissed his stirrups. been powerless to wound me. God has protected me and willed to establish in your eyes the ascendancy of His Faith." Mulla Husayn ordered that the gates of the caravanserai be closed. Assembling his companions, he begged them to remain gathered in his presence until the hour of sunset. As the evening approached, he asked whether any among them would be willing to arise and, renouncing his life for the sake of his Faith, ascend to the roof of the caravanserai and sound the adhan. (2) A youth gladly responded. No sooner had the opening words of "Allah-u-Akbar" dropped from his lips than a bullet suddenly struck him and immediately caused his death. "Let another one among you arise,"
Mulla Husayn urged them, "and, with the selfsame renunciation, proceed with the prayer which that youth was unable to finish." Another youth started to his feet, and had no sooner uttered the words, "I bear witness that Muhammad is the Apostle of God," than he also was struck down by another bullet from the enemy. A third youth, at the bidding of his chief, attempted to complete the prayer which his martyred companions had been forced to leave unfinished. He, too, suffered the same fate. As he was approaching the end of his prayer, and was uttering the words, "There is no God but God," he, in his turn, fell dead. The fall of his third companion decided Mulla Husayn to throw open the gate of the caravanserai, and to arise, together with his friends, to repulse this unexpected attack from a treacherous enemy. Leaping on horseback, he gave the signal to charge upon the assailants who had massed before the gates and had filled the Sabzih-Maydan. Sword in hand, and followed by his companions, he succeeded in decimating the forces that had been arrayed against him. Those few who had escaped their swords fled before them in panic, again pleading for peace, again imploring mercy. With the approach of evening, the entire crowd had vanished. The Sabzih-Maydan, which a few hours before overflowed with a seething mass of opponents, was now deserted. The clamour of the multitude was stilled. Bestrewn with the bodies of the slain, the Maydan and its surroundings offered a sad and moving spectacle, a scene which bore witness to the victory of God over His enemies. in the next," they added, "if we ever allow the slightest injury to be inflicted upon you and your party." As soon as they had made their declaration, their friends who had gone to fetch food for the companions and fodder for their horses, arrived. Mulla Husayn bade his fellow-believers break their fast, inasmuch as none of them that day, which was Friday, the twelfth of the month of Dhi'l-Qa'dih,(1) had taken any meat or drink since the hour of dawn. So great was the number of notables and their attendants that had crowded into the caravanserai that day that neither he nor any of his companion had partaken of the tea which they had offered to their visitors. That night, about four hours after sunset, Mulla Husayn, together with his friends, dined in the company of Abbas-Quli Khan and Haji Mustafa Khan. In the middle of that same night, the Sa'idu'l-'Ulama' summoned Khusraw-i-Qadi-Kala'i and confidentially intimated to him his desire that, at any time or place he himself might decide, the entire property of the party which had been entrusted to his charge should be seized, and that they themselves, without a single exception, should be put to death. "Are these not the followers of Islam?" Khusraw observed. "Have not these same people, as I have already learned, preferred to sacrifice three of their companions rather than leave unfinished the call to prayer which they had raised? How could we, who cherish such designs and perpetrate such acts, be regarded as worthy of that name?" That shameless miscreant insisted that his orders be faithfully obeyed. "Slay them," he said, as he pointed with his finger to his neck, "and be not afraid. I hold myself responsible for your act. I will, on the Day of Judgment, be answerable to God in your name. We, who wield the sceptre of authority, are surely better informed than you, and can better judge how best to extirpate this heresy." At the hour of sunrise, Abbas-Quli Khan asked that Khusraw be conducted into his presence, and bade him exercise the utmost consideration towards Mulla Husayn and his companions, to ensure their safe passage through Shir-Gah, and to refuse whatever rewards they might wish to offer him. Khusraw feigned submission to these instructions and assured him that neither he nor his horsemen would relax in their vigilance or flinch in their devotion to them. "On our return," he added, "we shall show you his own written expression of satisfaction with the services we shall have rendered him." When Khusraw was taken by Abbas-Quli Khan and Haji Mustafa Khan and other representative leaders of Barfurush into the presence of Mulla Husayn and was introduced to him, the latter remarked: "`If ye do well, it will redound to your own advantage; and if ye do evil, the evil will return upon you. "(1) If this man should treat us well, great shall be his reward; and if he act treacherously towards us, great shall be his punishment. To God would we commit our Cause, and to His will are we wholly resigned." Mulla Husayn spoke these words and gave the signal for departure. Once more Qambar-'Ali was heard to raise the call of his master, "Mount your steeds, O heroes of God!" --a summons which he invariably called out on such occasions. At the sound of those words, they all hurried to their steeds. A detachment of Khusraw's horsemen marched before them. They were immediately followed by Khusraw and Mulla Husayn, who rode abreast in the centre of the company. In their rear followed the rest of the companions, and on their right and left marched the remainder of the hundred horsemen whom Khusraw had armed as willing instruments for the execution of his design. It had been agreed that the party should start early in the morning from Barfurush and arrive on the same day at noon at Shir-Gah. Two hours after sunrise, they started for their destination. Khusraw intentionally took the way of the forest, a route which he thought would better serve his purpose. Mulla Husayn was still in the act of prayer when the cry of "Ya Sahibu'z-Zaman"(3) was raised again by his companions. They threw themselves upon their treacherous assailants and in one onslaught struck them all down except the attendant who had prepared the qulayn. Affrighted and defenceless, he fell at the feet of Mulla Husayn and implored his aid. He was given the bejewelled qulayn which belonged to his master and was bidden to return to Barfurush and recount to Abbas-Quli Khan all that he had witnessed. "Tell him," said Mulla Husayn, "how faithfully Khusraw discharged his mission. That false miscreant foolishly imagined that my mission had come to an end, that both my sword and my horse had fulfilled their function. Little did he know that their work had but just begun, that until the services which they can render are entirely accomplished, neither his power nor the power of any man beside him can wrest them from me." my Lord, bless Thou my arri0val at this place, for Thou alone canst vouchsafe such blessings." have witnessed," he assured the keeper of the shrine, "will come to pass. Those glorious scenes will again be enacted before your eyes." That servant threw in his lot eventually with the heroic defenders of the fort and fell a martyr within its walls. their swords again in self-defence. Raising the cry of "Ya Sahibu'z-Zaman," they leaped forward, repulsed the assailants, and put them to flight. So tremendous was the shout, that the horsemen vanished as suddenly as they had appeared. Mirza Muhammad-Taqiy-i-Juvayni had, at his own request, assumed the command of that encounter. Fearing that their assailants might again turn on them and resort to a general massacre, they pursued them until they reached a village which they thought to be the village of Qadi-Kala. At the sight of them, all the men fled in wild terror. The mother of Nazar Khan, the owner of the village, was inadvertently killed in the darkness of the night, amid the confusion that ensued. The outcries of the women, who were violently protesting that they had no connection whatever with the people of Qadi-Kala, soon reached the ears of Mirza Muhammad-Taqi, who immediately ordered his companions to withhold their hands until they ascertained the name and character of the place. They soon found out that the village belonged to Nazar Khan and that the woman who had lost her life was his mother. Greatly distressed at the discovery of so grievous a mistake on the part of his companions, Mirza Muhammad-Taqi sorrowfully exclaimed: "We did not intend to molest either the men or the women of this village. Our sole purpose was to curb the violence of the people of Qadi-Kala, who were about to put us all to death." He apologised earnestly for the pitiful tragedy which his companions had unwittingly enacted. Nazar Khan, who in the meantime had concealed himself in his house, was convinced of the sincerity of the regrets expressed by Mirza Muhammad-Taqi. Though suffering from this grievous loss, he was moved to call upon him and to invite him to his home. He even asked Mirza Muhammad-Taqi to introduce him to Mulla Husayn, and expressed a keen desire to be made acquainted with the precepts of a Cause that could kindle such fervour in the breasts of its adherents. that Nazar Khan felt an irresistible impulse to join the worshippers and to repeat the very prayers that were then falling from their lips. After the completion of that prayer, Mulla Husayn was informed of the loss which Nazar Khan had sustained. He expressed in the most touching language the sympathy which he and the entire company of his fellow-disciples felt for him in his great bereavement. "God knows," he assured him, "that our sole intention was to protect our lives rather than disturb the peace of the neighbourhood." Mulla Husayn then proceeded to relate the circumstances that had led to the attack directed against them by the people of Barfurush, and explained the treacherous conduct of Khusraw. He again assured him of the sorrow which the death of his mother had caused him. "Afflict not your heart," Nazar Khan spontaneously replied. "Would that a hundred sons had been given me, all of whom I would have joyously placed at your feet and offered as a sacrifice to the Sahibu'z-Zaman!" He pledged, that very moment, his undying loyalty to Mulla Husayn, and hastened back to his village in order to return with whatever provisions might be required for the party. Mulla Husayn ordered his companions to commence the building of the fort which had been designed. To every group he assigned a section of the work, and encouraged them to hasten its completion. In the course of these operations, they were continually harassed by the people of the neighbouring villages, who, at the persistent instigations of the Sa'idu'l-'Ulama', marched out and fell upon them. Every attack of the enemy ended in failure and shame. Undeterred by the fierceness of their repeated onsets, the companions valiantly withstood their assaults until they had succeeded in subjugating temporarily the forces which had hemmed them in on every side. When the work of construction was completed, Mulla Husayn undertook the necessary preparations for the siege which the fort was destined to sustain, and provided, despite the obstacles which stood in his way, whatever seemed essential for the safety of its occupants. dull vision was as yet unable to recognise. With what solicitude he received Him in his arms! What feelings of rapturous delight filled his heart on seeing Him! He was so lost in admiration that he was utterly oblivious of us all. His soul was so wrapt in contemplation of that countenance that we who were awaiting his permission to be seated were kept standing a long time beside him. It was Baha'u'llah Himself who finally bade us be seated. We, too, were soon made to feel, however inadequately, the charm of His utterance, though none of us were even dimly aware of the infinite potency latent in His words. "Ere He departed, Baha'u'llah enjoined them to be patient and resigned to the will of the Almighty. `If it be His will,' He added, `We shall once again visit you at this same spot, and shall lend you Our assistance. You have been chosen of God to be the vanguard of His host and the establishers of His Faith. His host verily will conquer. Whatever may befall, victory is yours, a victory which is complete and certain.' With these words, He committed those valiant companions to the care of God, and returned to the village with Nazar Khan and Shaykh Abu-Turab. From thence He departed by way of Nur to Tihran." unconditionally acceded to their request. The potency with which that message had been endowed seemed to have completely disarmed him. "I have regarded him," he hastened to assure the messengers, "only as an honoured guest in my house. It would be unbecoming of me to pretend to have dismissed or released him. He is at liberty to do as he desires. Should he wish it, I would be willing to accompany him." Mulla Husayn had in the meantime apprised his companions of the approach of Quddus, and had enjoined them to observe towards him a reverence such as they would feel prompted to show to the Bab Himself. "As to myself," he added, "you must consider me as his lowly servant. You should bear him such loyalty that if he were to command you to take my life, you would unhesitatingly obey. If you waver or hesitate, you will have shown your disloyalty to your Faith. Not until he summons you to his presence must you in any wise venture to intrude upon him. You should forsake your desires and cling to his will and pleasure. You should refrain from kissing either his hands or his feet, for his blessed heart dislikes such evidences of reverent affection. Such should be your behaviour that I may feel proud of you before him. The glory and authority with which he has been invested must needs be duly recognised by even the most insignificant of his companions. Whoso departs from the spirit and letter of my admonitions, a grievous chastisement will surely overtake him." Sari's most eminent mujtahid, to whom he was related, lasted five and ninety days. Though confined, Quddus was treated with marked deference, and was allowed to receive most of the companions who had been present at the gathering of Badasht. To none, however, did he grant permission to stay in Sari. Whoever visited him was urged, in the most pressing terms, to enlist under the Black Standard hoisted by Mulla Husayn. It was the same standard of which Muhammad, the Prophet of God, had thus spoken: "Should your eyes behold the Black Standards proceeding from Khurasan, hasten ye towards them, even though ye should have to crawl over the snow, inasmuch as they proclaim the advent of the promised Mihdi,(1) the Vicegerent of God." That standard was unfurled at the command of the Bab, in the name of Quddus, and by the hands of Mulla Husayn. It was carried aloft all the way from the city of Mashhad to the shrine of Shaykh Tabarsi. For eleven months, from the beginning of Sha'ban in the year 1264 A.H.(2) to the end of Jamadiyu'th-Thani, in the year 1265 A.H.,(3) that earthly emblem of an unearthly sovereignty waved continually over the heads of that small and valiant band, summoning the multitude who gazed upon it to renounce the world and to espouse the Cause of God. the inhabitants of Sari from offending Quddus, and was often heard to rebuke them for the harm which they desired to inflict upon him. The news of the impending arrival of Quddus bestirred the occupants of the fort of Tabarsi. As he drew near his destination, he sent forward a messenger to announce his approach. The joyful tidings gave them new courage and strength. Roused to a burst of enthusiasm which he could not repress, Mulla Husayn started to his feet and, escorted by about a hundred of his companions, hastened to meet the expected visitor. He placed two candles in the hands of each, lighted them himself, and bade them proceed to meet Quddus. The darkness of the night was dispelled by the radiance which those joyous hearts shed as they marched forth to meet their beloved. In the midst of the forest of Mazindaran, their eyes instantly recognised the face which they had longed to behold. They pressed eagerly around his steed, and with every mark of devotion aid him their tribute of love and undying allegiance. Still holding the lighted candles in their hands, they followed him on foot towards their destination. Quddus, as he rode along in their midst, appeared as the day-star that shines amidst its satellites. As the company slowly wended its way towards the fort, there broke forth the hymn of glorification and praise intoned by the band of his enthusiastic admirers. "Holy, holy, the Lord our God, the Lord of the angels and the spirit!" rang their jubilant voices around him. Mulla Husayn raised the glad refrain, to which the entire company responded. The forest of Mazindaran re-echoed to the sound of their acclamations. "Shortly after, Quddus entrusted to Mulla Husayn a number of homilies which he asked him to read aloud to his assembled companions. The first homily he read was entirely devoted to the Bab, the second concerned Baha'u'llah, and the third referred to Tahirih. We ventured to express to Mulla Husayn our doubts whether the references in the second homily were applicable to Baha'u'llah, who appeared clothed in the garb of nobility. The matter was reported to Quddus, who assured us that, God willing, its secret would be revealed to us in due time. Utterly unaware, in those days, of the character of the Mission of Baha'u'llah, we were unable to understand the meaning of those allusions, and idly conjectured as to what could be their probable significance. In my eagerness to unravel the subtleties of the traditions concerning the promised Qa'im, I several times approached Quddus and requested him to enlighten me regarding that subject. Though at first reluctant, he eventually acceded to my wish. The manner of his answer, his convincing and illuminating explanations, served to heighten the sense of awe and of veneration which his presence inspired. He dispelled whatever doubts lingered in our minds, and such were the evidences of his perspicacity that we came to believe that to him had been given the power to read our profoundest thoughts and to calm the fiercest tumult in our hearts. the arrival of the beloved visitor! With what feelings of emotion I can still remember him as he advanced towards me, in the stillness of those dark and lonely hours which I devoted to meditation and prayer, whispering in my ears these words: `Banish from your mind, O Mulla Mirza Muhammad, these perplexing subtleties and, freed from their trammels, arise and seek with me to quaff the cup of martyrdom. Then will you be able to comprehend, as the year '80(1) dawns upon the world, the secret of the things which now lie hidden from you.'" sake in Shiraz. I long to be the first to suffer in Thy path a death that shall be worthy of Thy Cause." He would sometimes ask his Iraqi companions to chant various passages of the Qur'an, to which he would listen with close attention, and would often be moved to unfold their meaning. In the course of one of their chantings, they came across the following verse: "With somewhat of fear and hunger, and loss of wealth and lives and fruits, will We surely prove you: but bear good tidings to the patient." "These words," Quddus would remark, "were originally revealed with reference to Job and the afflictions that befell him. In this day, however, they are applicable to us, who are destined to suffer those same afflictions. Such will be the measure of our calamity that none but he who has been endowed with constancy and patience will be able to survive them." reverence which Mulla Husayn showed towards him was dictated by the exigencies of the situation rather than prompted by a spontaneous feeling of devotion to his person. His own writings and general behaviour gradually dispelled such doubts and served to establish him still more firmly in the esteem of his companions. 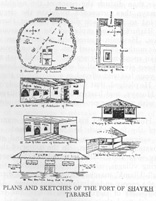 In the days of his confinement in the town of Sari, Quddus, whom Mirza Muhammad-Taqi had requested to write a commentary on the Surih of Ikhlas, better known as the Surih of Qul Huva'llahu'l-Ahad, composed, in his interpretation of the Sad of Samad alone, a treatise which was thrice as voluminous as the Qur'an itself. That exhaustive and masterly exposition had profoundly impressed Mirza Muhammad-Taqi and had been responsible for the marked consideration which he showed towards Quddus, although in the end he joined the Sa'idu'l-'Ulama' in compassing the death of the heroic martyrs of Shaykh Tabarsi. Quddus continued, while besieged in that fort, to write his commentary on that Surih, and was able, despite the vehemence of the enemy's onslaught, to pen as many verses as he had previously written in Sari in his interpretation of that same letter. The rapidity and copiousness of his composition, the inestimable treasures which his writings revealed, filled his companions with wonder and justified his leadership in their eyes. They read eagerly the pages of that commentary which Mulla Husayn brought to them each day and to which he paid his share of tribute. than he ordered that no visitor be allowed to enter it. The praises which those who had already inspected the fort had lavished upon it were transmitted from mouth to mouth until they reached the ears of the Sa'idu'l-'Ulama' and kindled within his breast the flame of unrelenting jealousy. In his detestation of those who had been responsible for its erection, he issued the strictest prohibition against anyone's approaching its precincts and urged all to boycott the companions of Mulla Husayn. Despite the stringency of his orders, a few were found to disregard his wishes and to render whatever assistance was in their power to those whom he had so undeservedly persecuted. The afflictions to which these sufferers were subjected were such that at times they felt a distressing need of the bare necessities of life. In their dark hour of adversity, however, there would suddenly break upon them the light of Divine deliverance opening before their face the door of unexpected relief. have resolved to proclaim their independent sovereignty, a sovereignty that shall abase to the dust the imperial diadem of your illustrious ancestors. You stand at the threshold of your reign. What greater triumph could signalise the inauguration of your rule than to extirpate this hateful creed that has dared to conspire against you? It will serve to establish your Majesty in the confidence of your people. It will enhance your prestige, and invest your crown with imperishable glory. Should you vacillate in your policy, should you betray the least indulgence towards them, I feel it my duty to warn you that the day is fast approaching when not only the province of Mazindaran but the whole of Persia, from end to end, will have repudiated your authority and will have surrendered to their cause." that he should be given the necessary authority to subjugate that band, I am convinced that he will, within the space of two days, quell their rebellion and shatter their hopes." which commanded the fort of Tabarsi. No sooner had he fixed his camp upon that eminence than he set out to intercept the bread which was being daily conveyed to the companions of Mulla Husayn. Even water was soon to be denied them, as it became impossible for the besieged to leave the fort under the fire of the enemy. The army was ordered to set up a number of barricades in front of the fort and to open fire upon anyone who chanced to leave its gate. Quddus forbade his companions to go out in order to fetch water from the neighbourhood. "Our bread has been intercepted by our enemy," complained Rasul-i-Bahnimiri. "What will befall us if water should likewise be denied us?" Quddus, who was at that time, the hour of sunset, viewing the army of the enemy in company with Mulla Husayn from the terrace of the fort, turned to him and said: "The scarcity of water has distressed our companions. God willing, this very night a downpour of rain will overtake our opponents, followed by a heavy snowfall, which will assist us to repulse their contemplated assault." That very night, the army of Abdu'llah Khan was surprised by a torrential rain which overwhelmed that section which lay close to the fort. Much of the ammunition was irretrievably ruined. There gathered within the walls of the fort an amount of water which, for a long period, was sufficient for the consumption of the besieged. In the course of the following night, a snowfall such as the people of the neighbourhood even in the depth of winter had never experienced, added considerably to the annoyance which the rain had caused. The next night, which was the evening preceding the fifth of Muharram, in the year 1265 A.H.,(1) Quddus determined to leave the gate of the fort. "Praise be to God," he remarked to Rasul-i-Bahnimiri as he paced with calm and serenity the approaches to the gate, "who has graciously answered our prayer and caused both rain and snow to fall upon our enemies; a fall that has brought desolation into their camp and refreshment into our fort." scatter its forces. Two hours after sunrise, he mounted his steed and, escorted by Mulla Husayn and three other of his companions, all of whom were riding beside him, marched out of the gate, followed by the entire company on foot behind them. As soon as they had emerged, there pealed out the cry of "Ya Sahibu'z-Zaman! "(1)--a cry that diffused consternation through the camp of the enemy. The roar which these lion-hearted followers of the Bab raised amidst the forest of Mazindaran dispersed the affrighted enemy that lay in ambush within its recesses. The glitter of their bared weapons dazzled their sight, and its menace was sufficient to stun and overpower them. They fled in disgraceful rout before their onrush, leaving all possessions behind them. Within the space of forty-five minutes, the shout of victory had been raised. Quddus and Mulla Husayn had succeeded in bringing under their control the remnants of the defeated army. Abdu'llah Khan-i-Turkaman, with two of his officers, Habibu'llah Khan-i-Afghan and Nuru'llah Khan-i-Afghan, together with no less than four hundred and thirty of their men, had perished. Quddus returned to the fort while Mulla Husayn was still engaged in pursuing the work which had been so valiantly performed. The voice of Siyyid Abdu'l-'Azim-i-Khu'i was soon raised summoning him, on behalf of Quddus, to return immediately to the fort. "We have repulsed the assailants,"
Quddus remarked; "we need not carry further the punishment. Our purpose is to protect ourselves that we may be able to continue our labours for the regeneration of men. We have no intention whatever of causing unnecessary harm to anyone. What we have already achieved is sufficient testimony to God's invincible power. We, a little band of His followers, have been able, through His sustaining grace, to overcome the organised and trained army of our enemies." Despite this defeat, not one of the followers of the Bab lost his life in the course of that encounter. No one except a man named Quli, who rode in advance of Quddus, was badly wounded. They were all commanded to take none of the property of their adversaries excepting their swords and horses. As the signs of the reassembling of the forces which had been commanded by Abdu'llah Khan became apparent, Quddus bade his companions dig a moat around the fort as a safeguard against a renewed attack. Nineteen days elapsed during which they exerted themselves to the utmost for the completion of the task they had been charged to perform. They joyously laboured by day and by night in order to expedite the work with which they had been entrusted. the foundations of the monarchy or of usurping the authority of Nasiri'd-Din Shah. Our Cause concerns the revelation of the promised Qa'im and is primarily associated with the interests of the ecclesiastical order of this country. We can set forth incontrovertible arguments and deduce infallible proofs in support of the truth of the Message we bear." The passionate sincerity with which Mulla Husayn pleaded in defence of his Cause, and the details which he cited to demonstrate the validity of his claims, touched the heart of the messenger and brought tears to his eyes. "What are we to do?" he exclaimed. "Let the prince," Mulla Husayn replied, "direct the ulamas of both Sari and Barfurush to betake themselves to this place, and ask us to demonstrate the validity of the Revelation proclaimed by the Bab. Let the Qur'an decide as to who speaks the truth. Let the prince himself judge our case and pronounce the verdict. Let him also decide as to how he should treat us if we fail to establish, by the aid of verses and traditions, the truth of this Cause." The messenger expressed his complete satisfaction with the answer he had received, and promised that before the lapse of three days the ecclesiastical dignitaries would be convened in the manner he had suggested. The promise given by the messenger was destined to remain unfulfilled. Three days after, Prince Mihdi-Quli Mirza prepared to launch his attack, on a scale hitherto unprecedented, upon the occupants of the fort. At the head of three regiments of infantry and several regiments of cavalry, he quartered his host upon a height that overlooked that spot, and gave the signal to open fire in that direction. The day had not yet broken when at the signal, "Mount your steeds, O heroes of God!" Quddus ordered that the gates of the fort be again thrown open. Mulla Husayn and two hundred and two of his companions ran to their horses and followed Quddus as he rode out in the direction of Vas-Kas. Undaunted by the overwhelming forces arrayed against them, and undeterred by the snow and mud which had accumulated on the roads, they headed, without a pause, in the midst of the darkness that surrounded them, towards the stronghold which served as a base for the operations of the enemy. of his rooms, coffers filled with gold and silver, all of which they disdained to touch. With the exception of a pot of gunpowder and the favourite sword of the prince which they carried as an evidence of their triumph to Mulla Husayn, his companions ignored the costly furnishings which their owner had abandoned in his despair. When they took it to Mulla Husayn, they discovered that he had, as a result of the bullet which had struck his own sword, exchanged it for that of Quddus, with which he was engaged in repulsing the assailant. They were throwing open the gate of the prison which had been in the hands of the enemy, when they heard the voice of Mulla Yusuf-i-Ardibili, who had been made a captive on his way to the fort and was languishing among the prisoners. He interceded for his fellow-sufferers and succeeded in obtaining their immediate release. struck him with fear and dismay. He raised his hands in horror and was on the point of beating himself upon the head when Quddus bade him desist. Obeying his leader instantly, he begged him to be allowed to receive his sword from his hand, which, as soon as it had been delivered, was unsheathed from its scabbard and used to scatter the forces that had massed around him. Followed by a hundred and ten of his fellow-disciples, he faced the forces arrayed against him. Wielding in one hand the sword of his beloved leader and in the other that of his disgraced opponent, he fought a desperate battle against them, and within thirty minutes, during which he displayed marvellous heroism, he succeeded in putting the entire army to flight. 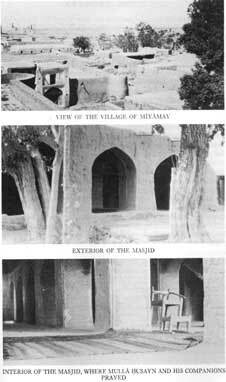 The disgraceful retreat of the army of Prince Mihdi-Quli Mirza enabled Mulla Husayn and his companions to repair to the fort. With pain and regret, they conducted their wounded leader to the shelter of his stronghold. On his arrival, Quddus addressed a written appeal to his friends who were bewailing his injury, and by his words of cheer soothed their sorrow. "We should submit," he exhorted them, "to whatever is the will of God. We should stand firm and steadfast in the hour of trial. The stone of the infidel broke the teeth of the Prophet of God; mine have fallen as a result of the bullet of the enemy. Though my body be afflicted, my soul is immersed in gladness. My gratitude to God knows no bounds. If you love me, suffer not that this joy be obscured by the sight of your lamentations." Khan had assumed the command, that no help should be extended, under any circumstances, to the occupants of the fort. 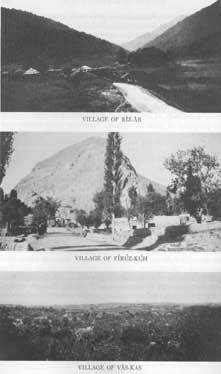 Guards had been stationed at different places to ensure the isolation of the besieged. His companions, however, pressed Him to interrupt the journey and to seek a few hours of rest. Although He knew that this delay would involve a grave risk of being surprised by the enemy, He yielded to their earnest request. They halted at a lonely house adjoining the road. After supper, his companions all retired to sleep. He alone, despite the hardships He had endured, remained wakeful. He knew well the perils to which He and His friends were exposed, and was fully aware of the possibilities which His early arrival at the fort involved. As He watched beside them, the secret emissaries of the enemy informed the guards of the neighbourhood of the arrival of the party, and ordered the immediate seizure of whatever they could find in their possession. "We have received strict orders, they told Baha'u'llah, whom they recognised instantly as the leader of the group, "to arrest every person we chance to meet in this vicinity, and are commanded to conduct him, without any previous investigation, to Amul and deliver him into the hands of its governor." "The matter has been misrepresented in your eyes," Baha'u'llah remarked. "You have misconstrued our purpose. I would advise you to act in a manner that will cause you eventually no regret." This admonition, uttered with dignity and calm, induced the chief of the guards to treat with consideration and courtesy those whom he had arrested. He bade them mount their horses and proceed with him to Amul. As they were approaching the banks of a river, Baha'u'llah signalled to His companions, who were riding at a distance from the guards, to cast into the water whatever manuscripts they had in their possession. soon as the message reached him, he went to the masjid of Amul and summoned the ulamas and leading siyyids of the town to gather and meet the party. He was greatly surprised as soon as his eyes saw and recognised Baha'u'llah, and deeply regretted the orders he had given. He feigned to reprimand Him for the action He had taken, in the hope of appeasing the tumult and allaying the excitement of those who had gathered in the masjid. "We are innocent," Baha'u'llah declared, "of the guilt they impute to us. Our blamelessness will eventually be established in your eyes. I would advise you to act in a manner that will cause you eventually no regret." The acting governor asked the ulamas who were present to put any question they desired. To their enquiries Baha'u'llah returned explicit and convincing replies. As they were interrogating Him, they discovered a manuscript in the possession of one of His companions which they recognised as the writings of the Bab and which they handed to the chief of the ulamas present at that gathering. As soon as he had perused a few lines of that manuscript, he laid it aside and, turning to those around him, exclaimed: "These people, who advance such extravagant claims, have, in this very sentence which I have read, betrayed their ignorance of the most rudimentary rules of orthography." "Esteemed and learned divine," Baha'u'llah replied, "these words which you criticise are not the words of the Bab. They have been uttered by no less a personage than the Imam Ali, the Commander of the Faithful, in his reply to Kumayl-ibn-i-Ziyad, whom he had chosen as his companion." The circumstances which Baha'u'llah proceeded to relate in connection with the reply, no less than the manner of His delivery, convinced the arrogant mujtahid of his stupidity and blunder. Unable to contradict so weighty a statement, he preferred to keep silent. A siyyid angrily interjected: "This very statement conclusively demonstrates that its author is himself a Babi and no less than a leading expounder of the tenets of that sect." He urged in vehement language that its followers be put to death. "These obscure sectarians are the sworn enemies," he cried, "both of the State and of the Faith of Islam! We must, at all costs, extirpate that heresy." He was seconded in his denunciation by the other siyyids who were present, and who, emboldened by the imprecations uttered at that gathering, insisted that the governor comply unhesitatingly with their wishes. where they will receive, at the hands of the sovereign, the chastisement they deserve." those of Baha'u'llah, had of- fered Himself to ransom His Beloved from the perils that beset that precious Life; whilst Baha'u'llah, on His part, unwilling that He who so greatly loved Him should be the sole Sufferer, shared at every turn the cup that had touched His lips. Such love no eye has ever beheld, nor has mortal heart conceived such mutual devotion. If the branches of every tree were turned into pens, and all the seas into ink, and earth and heaven rolled into one parchment, the immensity of that love would still remain unexplored, and the depths of that devotion unfathomed. Baha'u'llah and His companions remained for a time imprisoned in one of the rooms that formed part of the masjid. The acting governor, who was still determined to shield his Prisoner from the assaults of an inveterate enemy, secretly instructed his attendants to open, at an unsuspected hour, a passage through the wall of the room in which the captives were confined, and to transfer their Leader immediately to his home. He was himself conducting Baha'u'llah to his residence when a siyyid sprang forward and, directing his fiercest invectives against Him, raised the club which he held in his hand to strike Him. The acting governor immediately interposed himself and, appealing to the assailant, "adjured him by the Prophet of God" to stay his hand. "What!" burst forth the siyyid. "How dare you release a man who is the sworn enemy of the Faith of our fathers?" A crowd of ruffians had meanwhile gathered around him, and by their howls of derision and abuse added to the clamour which he had raised. Despite the growing tumult, the attendants of the acting governor were able to conduct Baha'u'llah in safety to the residence of their master, and displayed on that occasion a courage and presence of mind that were truly surprising. Despite the protestations of the mob, the rest of the prisoners were taken to the seat of government, and thus escaped from the perils with which they had been threatened. The acting governor offered profuse apologies to Baha'u'llah for the treatment which the people of Amul had accorded Him. "But for the interposition of Providence," he said, "no force would have achieved your deliverance from the grasp of this malevolent people. But for the efficacy of the vow which I had made to risk my own life for your sake, I, too, would have fallen a victim to their violence, and would have been trampled beneath their feet." He bitterly complained of the outrageous conduct of the siyyids of Amul, and denounced the baseness of their character. He expressed himself as being continually tormented by the effects of their malignant designs. He set about serving Baha'u'llah with devotion and kindness, and was often heard, in the course of his conversation with Him, to remark: "I am far from regarding you a prisoner in my home. This house, I believe, was built for the very purpose of affording you a shelter from the designs of your foes." "One night we were suddenly awakened by the clamour of the people who had gathered outside the gate of the house. The door was opened, and it was announced that the governor had returned to Amul. Our companions, who were anticipating a fresh attack upon them, were completely surprised to hear the voice of the governor rebuking those who had denounced us so bitterly on the day of our arrival. `For what reason,' we heard him loudly remonstrating, `have these miserable wretches chosen to treat so disrespectfully a guest whose hands are tied and who has not been given the chance to defend himself? What is their justification for having demanded that he be immediately put to death? What evidence have they with which to support their contention? If they be sincere in their claims to be devotedly attached to Islam and to be the guardians of its interests, let them betake themselves to the fort of Shaykh Tabarsi and there demonstrate their capacity to defend the Faith of which they profess to be the champions.'" 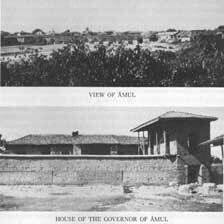 respectfully, he went to Baha'u'llah and apologised for the insolence of the inhabitants of a town that he had been chosen to govern. He served Him with extreme devotion, utterly ignoring his own position and rank. He paid a glowing tribute to Mulla Husayn, and expatiated upon his resourcefulness, his intrepidity, his skill, and nobleness of soul. A few days later, he succeeded in arranging for the safe departure of Baha'u'llah and His companions for Tihran. Baha'u'llah's intention to throw in His lot with the defenders of the fort of Shaykh Tabarsi was destined to remain unfulfilled. Though Himself extremely desirous to lend every possible assistance in His power to the besieged, He was spared, through the mysterious dispensation of Providence, the tragic fate that was soon to befall the chief participators in that memorable struggle. Had He been able to reach the fort, had He been allowed to join the members of that heroic band, how could He have played His part in the great drama which He was destined to unfold? How could He have consummated the work that had been so gloriously conceived and so marvellously inaugurated? He was in the heyday of His life when the call from Shiraz reached Him. At the age of twenty-seven, He arose to consecrate His life to its service, fearlessly identified Himself with its teachings, and distinguished Himself by the exemplary part He played in its diffusion. No effort was too great for the energy with which He was endowed, and no sacrifice too woeful for the devotion with which His faith had inspired Him. He flung aside every consideration of fame, of wealth, and position, for the prosecution of the task He had set His heart to achieve. Neither the taunts of His friends nor the threats of His enemies could induce Him to cease championing a Cause which they alike regarded as that of an obscure and proscribed sect. exercised for her protection; the counsels which He gave to the defenders of the fort of Tabarsi; the plan He conceived of joining the forces of Quddus to those of Mulla Husayn and his companions; the spontaneity with which He arose to support the exertions of those brave defenders; the magnanimity which prompted Him to offer Himself as a substitute for His companions who were under the threat of severe indignities; the serenity with which He faced the severity inflicted upon Him as a result of the attempt on the life of Nasiri'd-Din Shah; the indignities which were heaped upon Him all the way from Lavasan to the headquarters of the imperial army and from thence to the capital; the galling weight of chains which He bore as He lay in the darkness of the Siyah-Chal of Tihran--all these are but a few instances that eloquently testify to the unique position which He occupied as the prime Mover of the forces which were destined to reshape the face of His native land. It was He who had released these forces, who steered their course, harmonised their action, and brought them finally to their highest consummation in the Cause He Himself was destined at a later time to reveal.